Apartment hunting in Boston is overwhelming for a whole slew of reasons—heavy competition, pricing, and spiraling out of control on Craigslist are just a few of them. So, for your convenience, we’re highlighting a few Zumper listings with one unique characteristic. This round, it’s places asking $1,900 or less per month—because who has thousands to drop on a rental, anyway? Below, peruse five two-bedroom apartments for rent in Boston for $1,900 or less per month. This sunlit sanctuary is the perfect place to take a breather after a day spent downtown. The rear deck offers lovely harbor vistas, and around back, the private backyard boasts a large patio. Light wood cabinets and a stainless steel stove hood coordinate with rest of the modern interior. 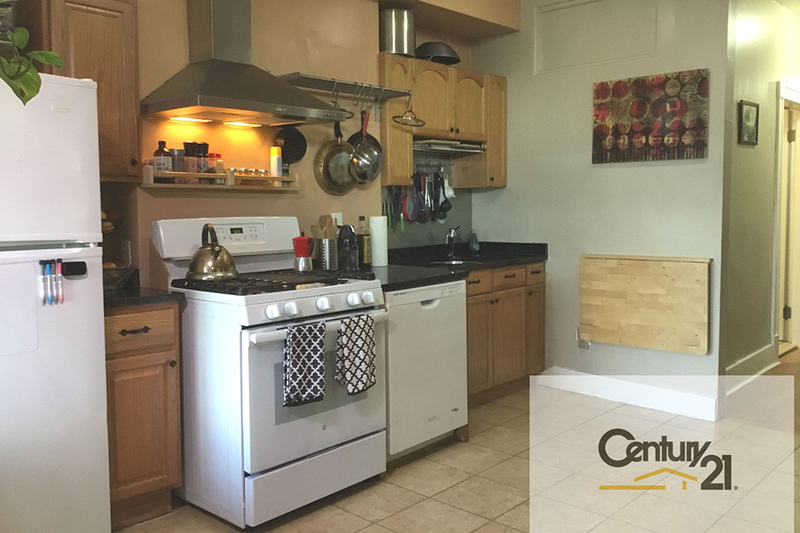 A convenient stroll from the Airport T station, this cat-friendly Eastie pad will be ready for your move-in on October 15. At 1,000 square feet, it’s unlikely you’ll ever feel cooped up in this Spring Hill abode. White walls and hardwoods keep the living spaces simple, but beadboard paneling and a black-and white-tile backsplash add character to the eat-in kitchen. A mile from Harvard and Davis squares, and two from Assembly Row, this apartment is situated near plenty of public transport options to get around quickly— though Somerville’s rolling, residential hills are great for walking. Right in the midst of Allston, Brighton, and Brookline, this apartment offers access to a bevy of things to do; start with a boozy brunch at Deep Ellum, grab a coffee for a stroll along Lake Road in Brighton, and end the night with an artsy flick at the Coolidge Corner Theatre. Inside, pitched ceilings add architectural interest to this third floor coop, and bold red textured accent walls illuminate the space. Just a block off of Comm. Ave., the front door is steps from the B and C lines, and rent includes two tandem parking spots. Live out your romantic comedy dreams without leaving Boston by taking up residence in this Nottinghill Road dwelling. The crisp brick exterior and bright red front door are a quintessential Boston welcome to an interior full of charming details, like scalloped wood accents in the kitchen and bubblegum pink tiling in the bathroom. A private balcony offers space for an outdoor reprieve after a day at work, or after watching Hugh Grant’s entire filmography. Only half a broker fee is required to secure this Oak Square den, still available for September 1st. Situated on the first floor of a three-story building, this apartment is ideal for a quick and easy moving day. Plenty of natural light and cabinet and closet space keep the quarters bright and uncluttered. Two equally large bedrooms help avoid any roommate tensions, and rent is just $945 per month when split in half.